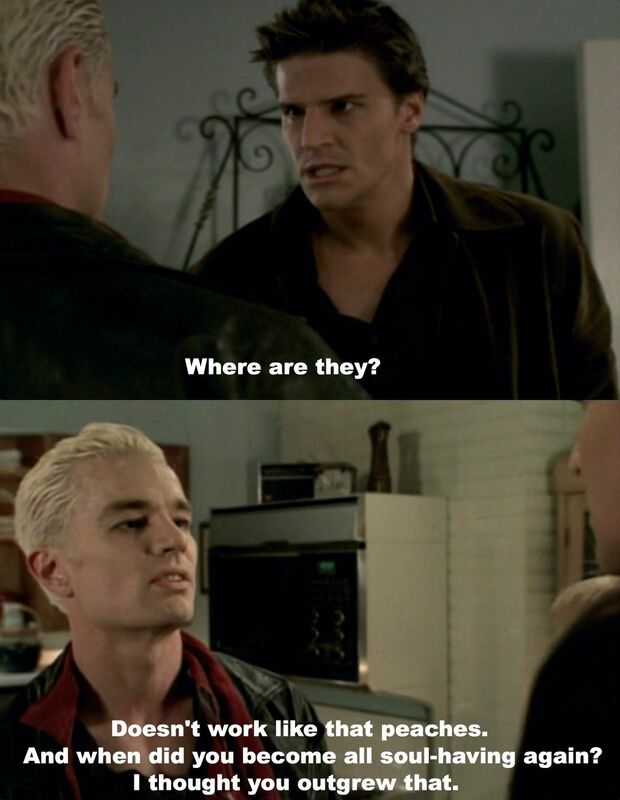 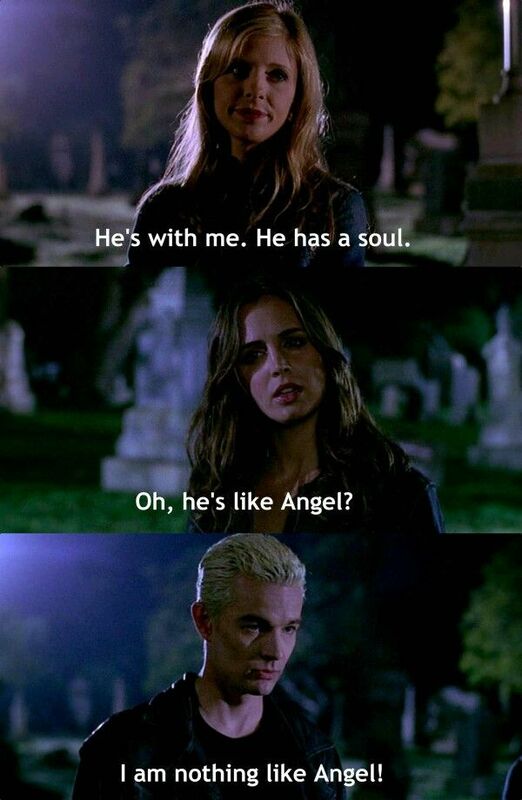 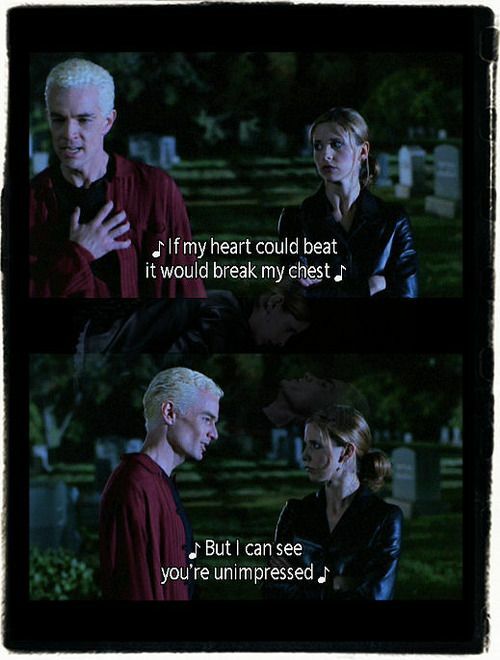 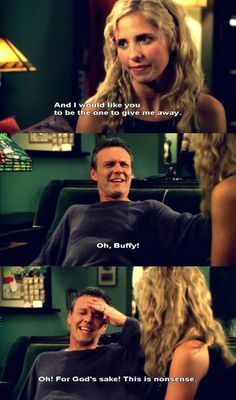 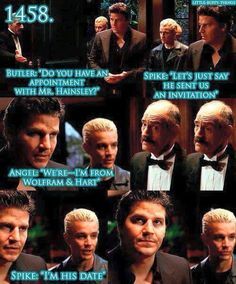 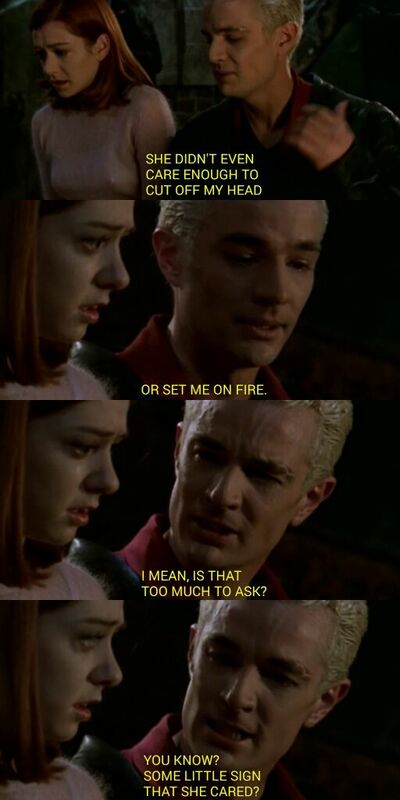 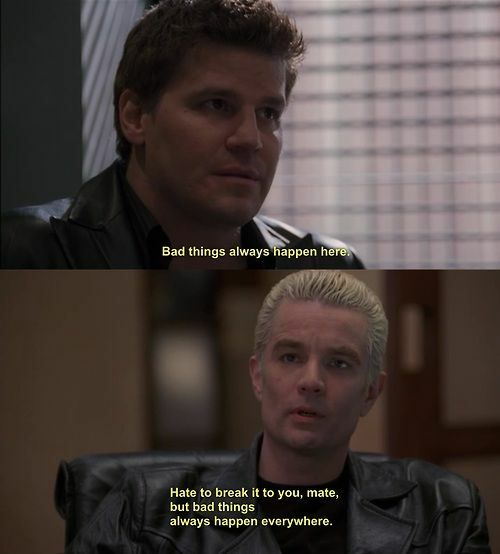 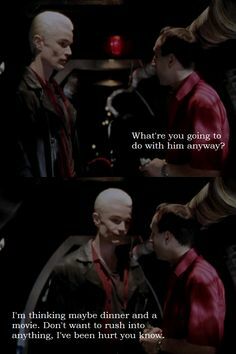 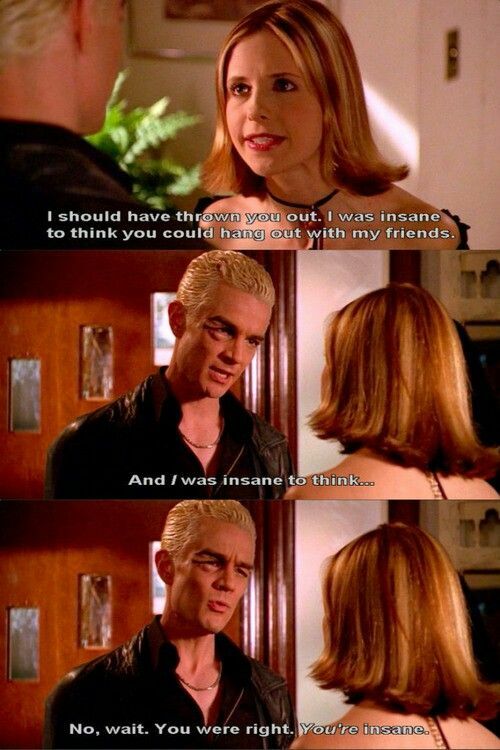 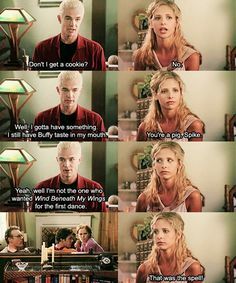 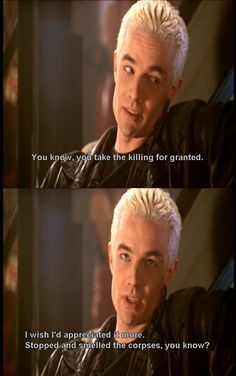 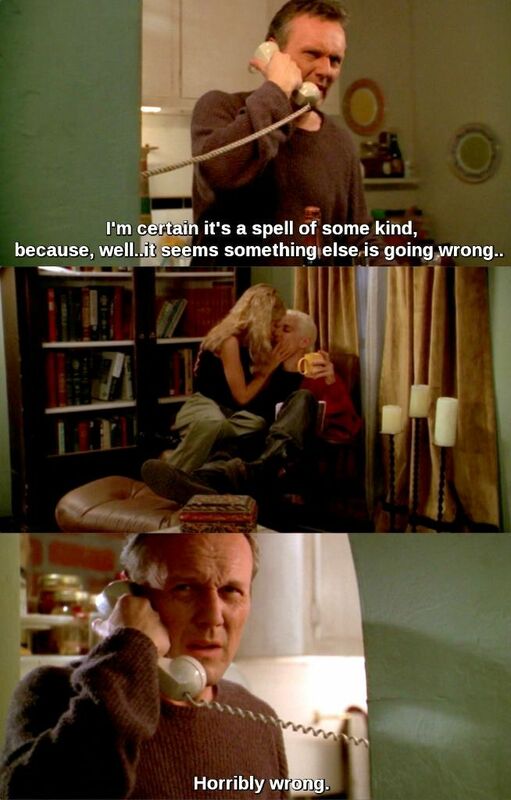 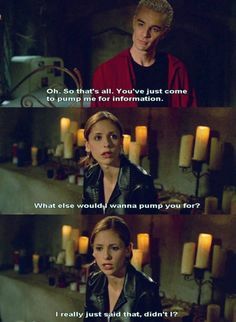 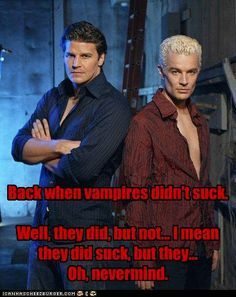 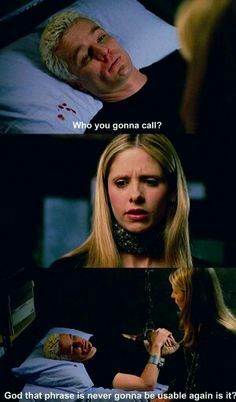 Hahaha poor Spike, he's in denial - Buffy the Vampire Slayer......miss this show...Wish they would do a special!! 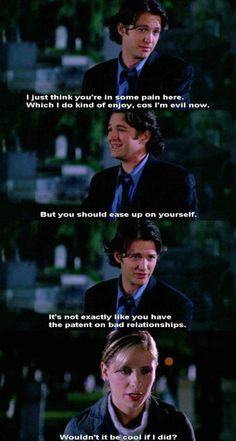 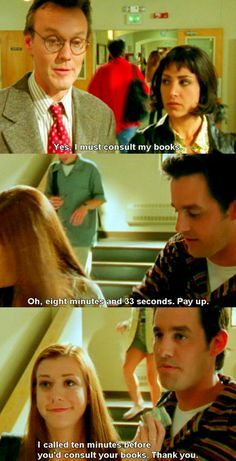 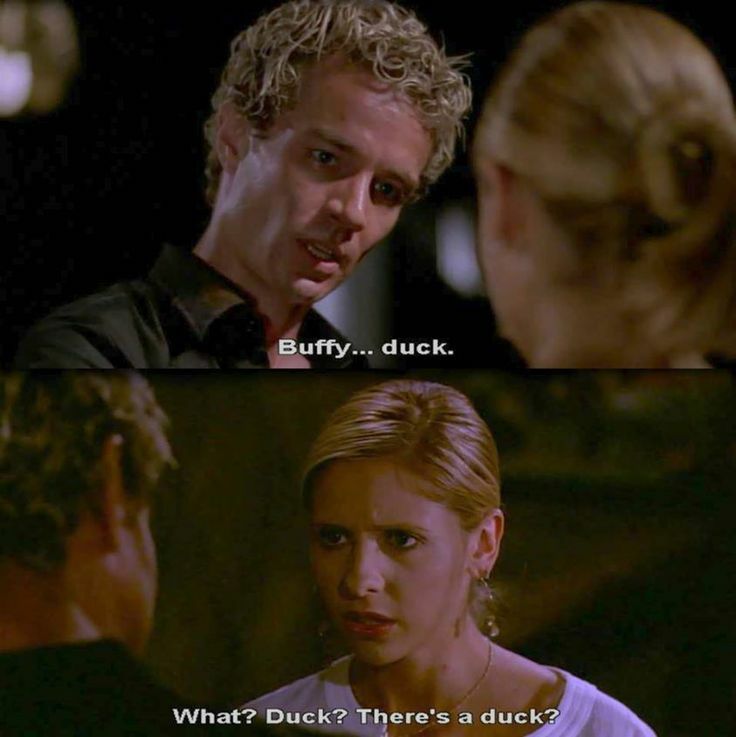 In moments that that, I loathe Buffy. 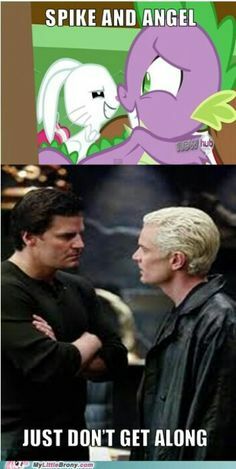 Spike cares for her so much and she just throws it back in his face. 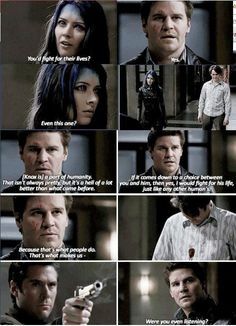 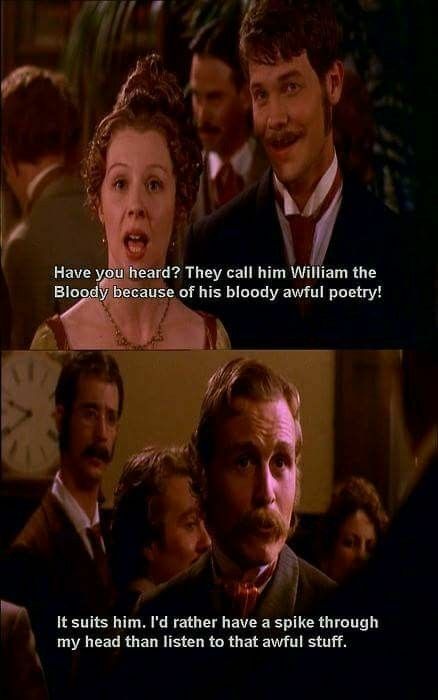 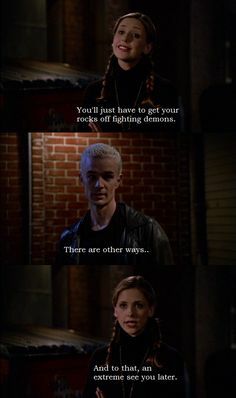 This is one of my favorite scenes ever. 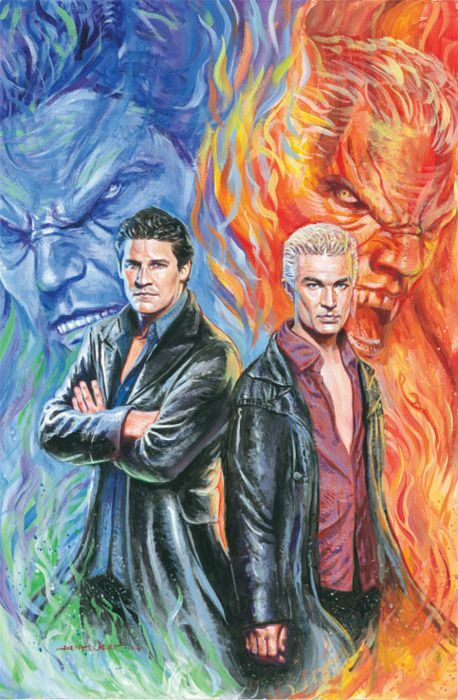 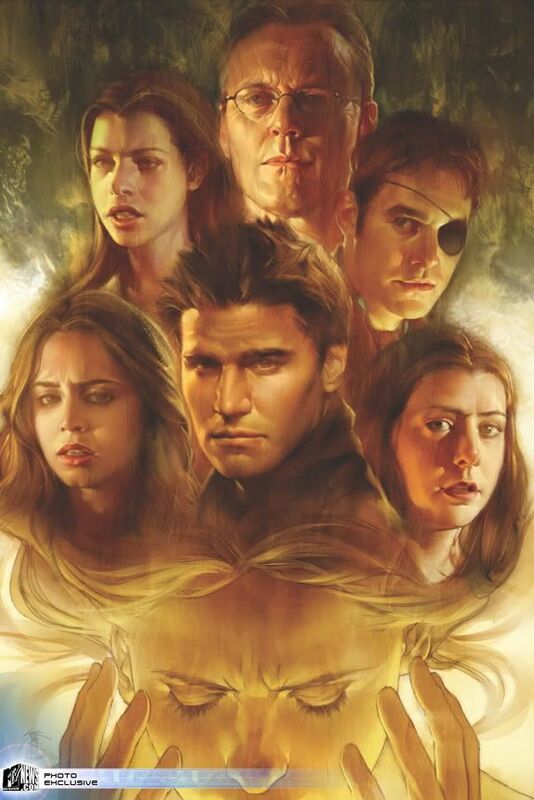 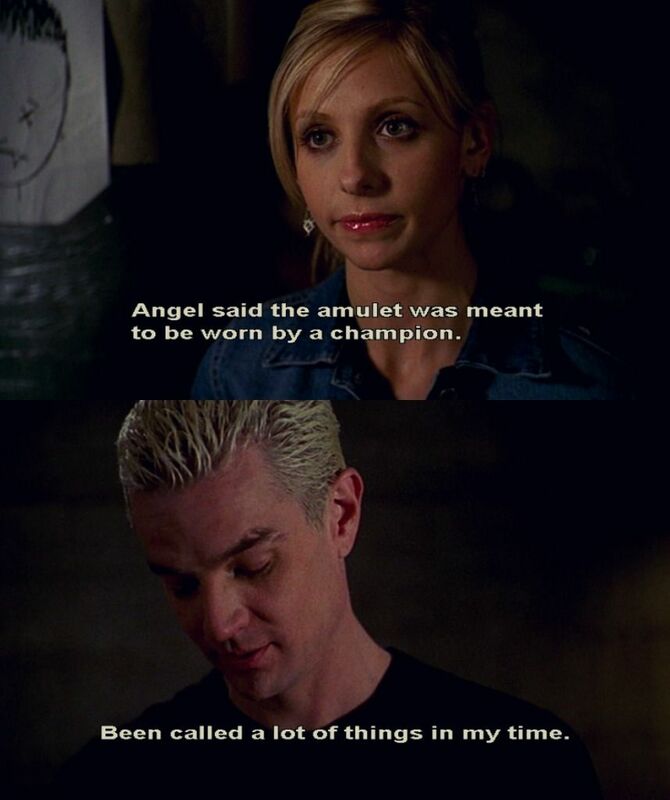 And the look on Angels face "I made this monster"
Buffy,Spike,Angel - Buffy the Vampire Slayer Fan Art (1294984 . 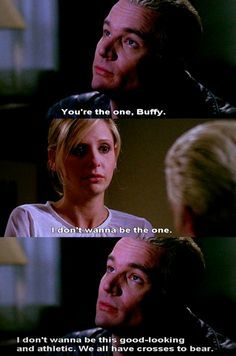 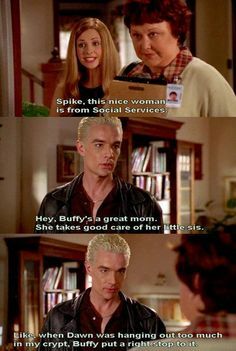 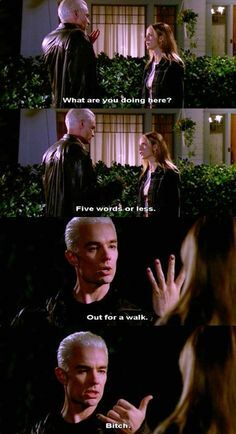 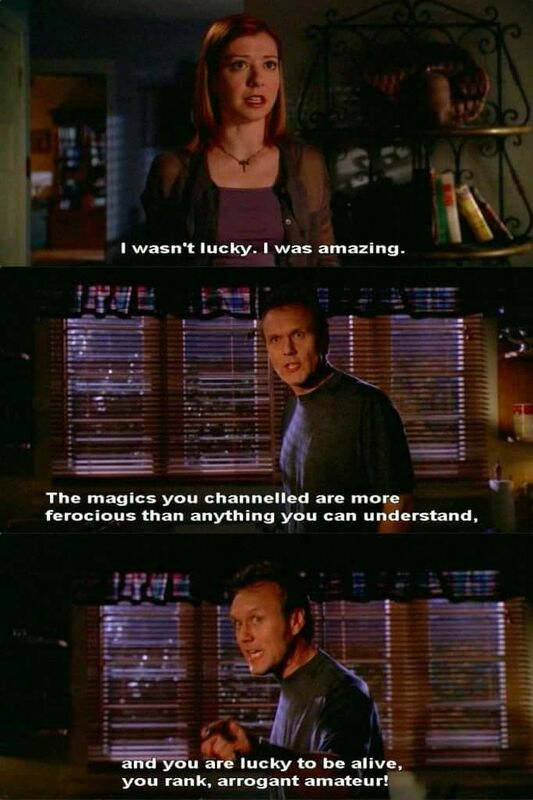 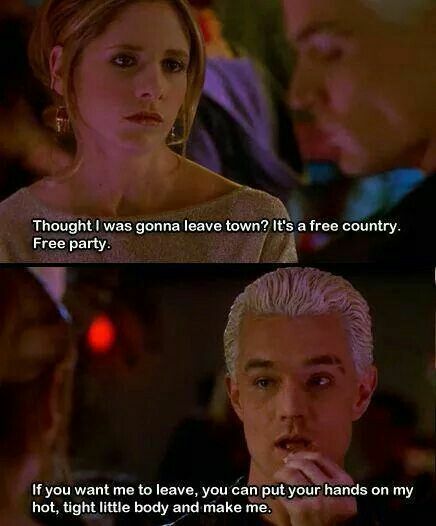 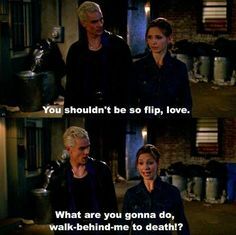 Spike and Buffy were priceless. 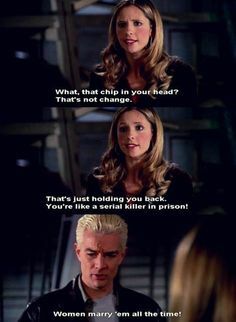 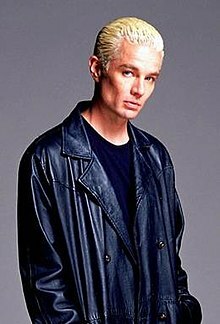 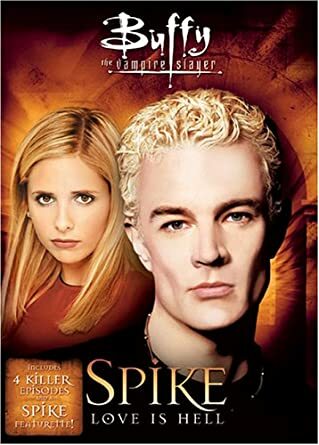 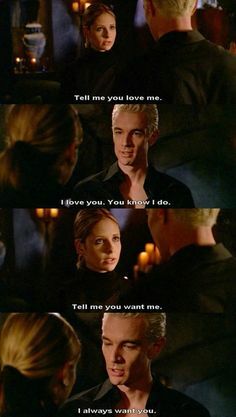 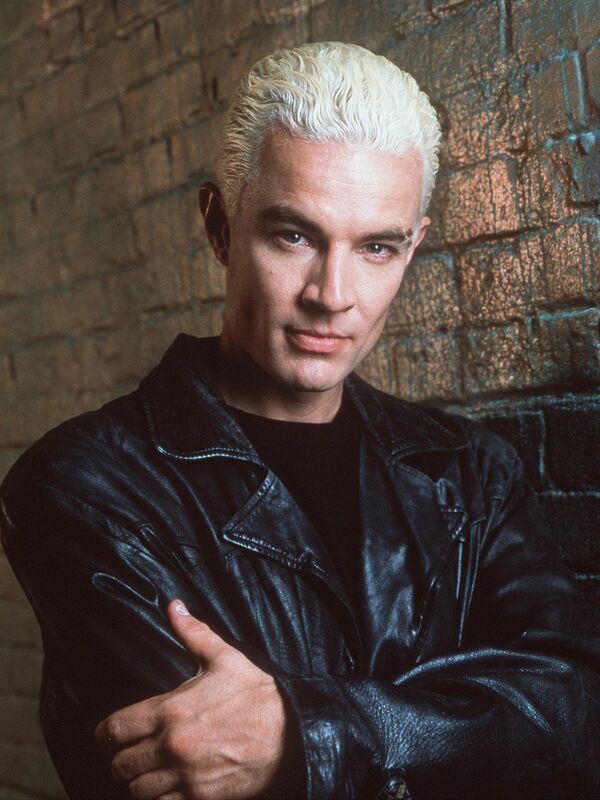 There was great chemistry between James Marsters and Sarah Michelle Gellar. 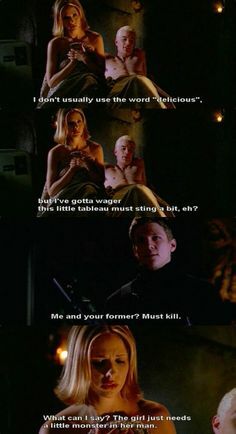 Harmony torturing Eve on season 5.... 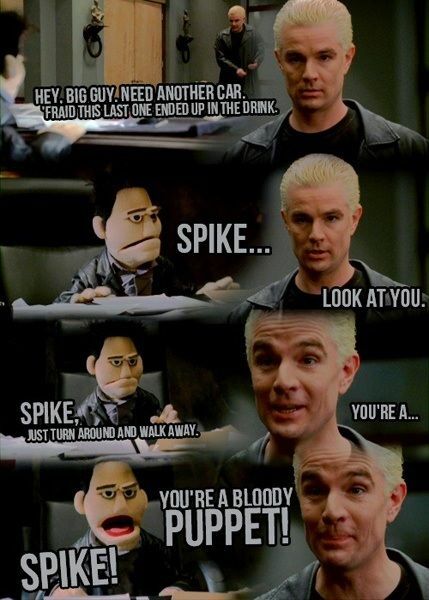 Loved it, HAHAHAHA!!! 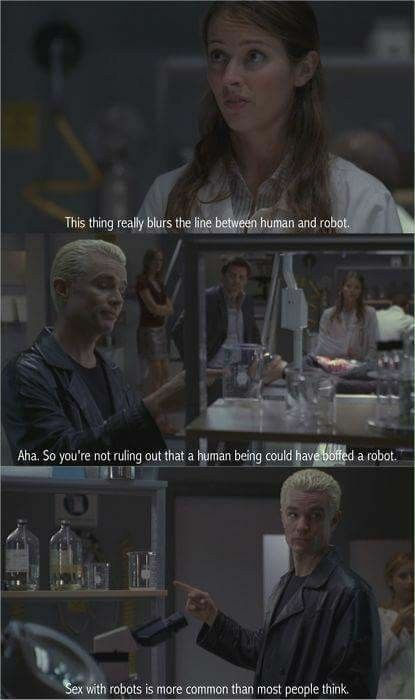 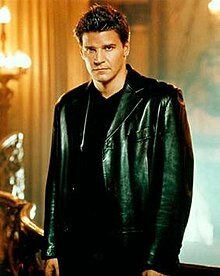 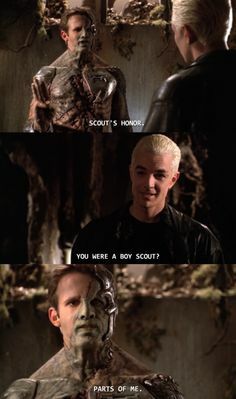 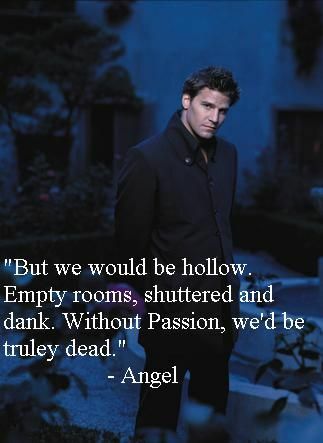 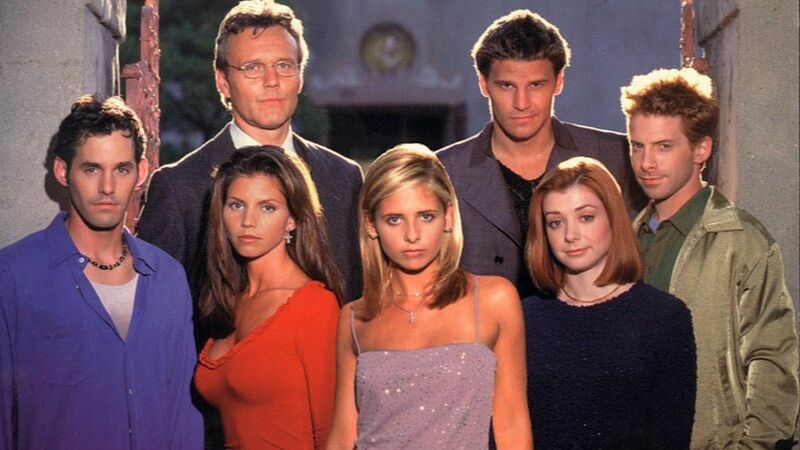 I wouldn't mention Buffy bot to Angel, Spike, nor Fred. 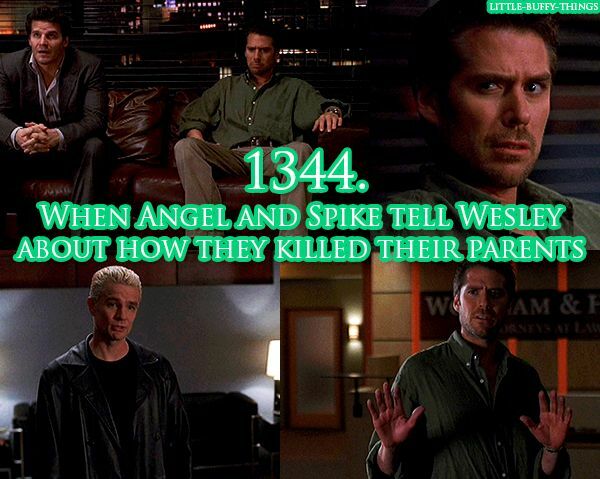 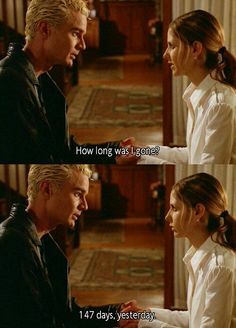 Spike & Buffy Season 6 :( awww he counted the days! 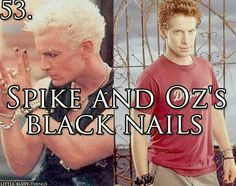 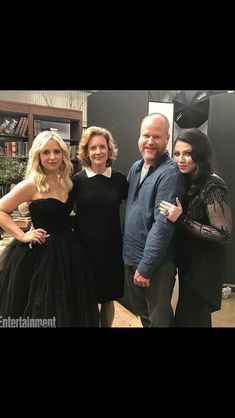 Spike, Buffy, and Willow from Buffy the Vampire Slayer. 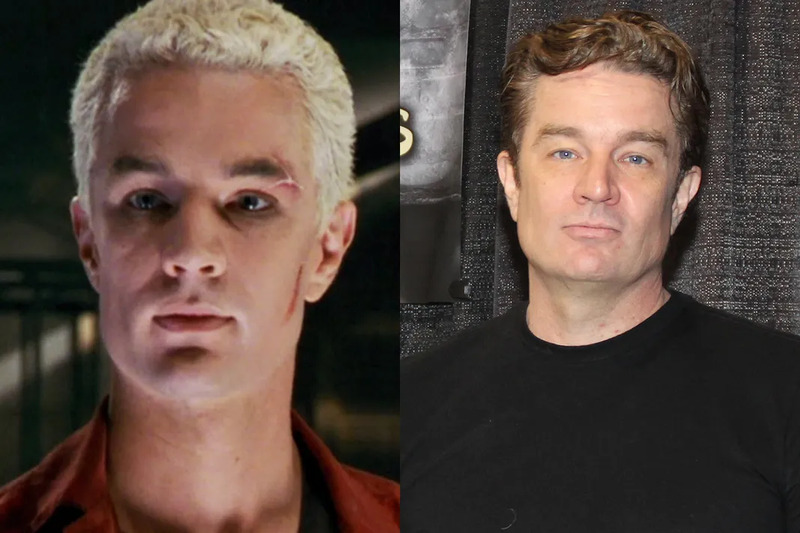 Buffy the Vampire Slayer Cast: Juliet Landau "Drusilla," James Marsters " Spike"